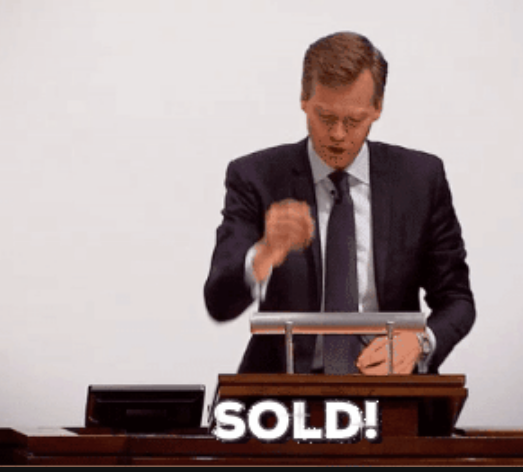 When the Montgomery County Council raised taxes to an all-time record level last May, the heist included a hike in the recordation tax residents pay when selling their homes. This increase was broadly sold as a "school construction funding" mechanism. And a hike in the Recordation Tax Premium was ostensibly to provide funds for County capital projects, and $40-50 million for affordable housing and rent assistance, according to then-Council President Nancy Floreen. Instead, the County Council now plans to spend at least $4,210,000 of the Recordation Tax Premium on legal fees for the infamous Silver Spring Transit Center debacle. 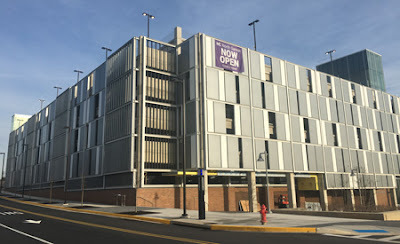 You know, the overblown garage that took nine years to construct, and still wasn't built right? When running for reelection in 2014, the Council repeatedly insisted that taxpayers would not be on the hook for any more SSTC-related money, beyond the massive $47,000,000 over-budget spending by that point. They immediately broke that promise only a month after election day, by appropriating another whopping $21 million for a slapdash patching of serious structural weaknesses in the transit center. Those fixes were only effective in the minds of the Council, as the building itself lacks the slip joints needed to handle the loads of buses. By the time these weaknesses become fatal flaws, of course, the current Council will be out of office. But not before ripping off taxpayers again this year. Instead of spending on needed transportation and facility projects which have been postponed, money is being taken from this specific funding source for the transit center legal costs. The County is unlikely to win this lawsuit, primarily because neither the executive branch nor the County Council with oversight authority took action when flaws were first discovered. Only after the structure was essentially complete in 2012 (it would not open until 2015) did the County begin to press contractors about the flaws. And it remains to be determined if the County's contracts even allow for recovery of legal fees, including this new $4.2 million. After witnessing the Council's approval of an illegal use of funds by the Parks Department, and a $900,000 cost overrun for a Bethesda drainpipe that puts the Pentagon's $640 toilet seat to shame, you may want to follow this latest (ab)use of your money by the County Council. The Council will hear public testimony on the proposed appropriation on February 7, at 1:30 PM at the Council Office Building, at 100 Maryland Avenue in Rockville. 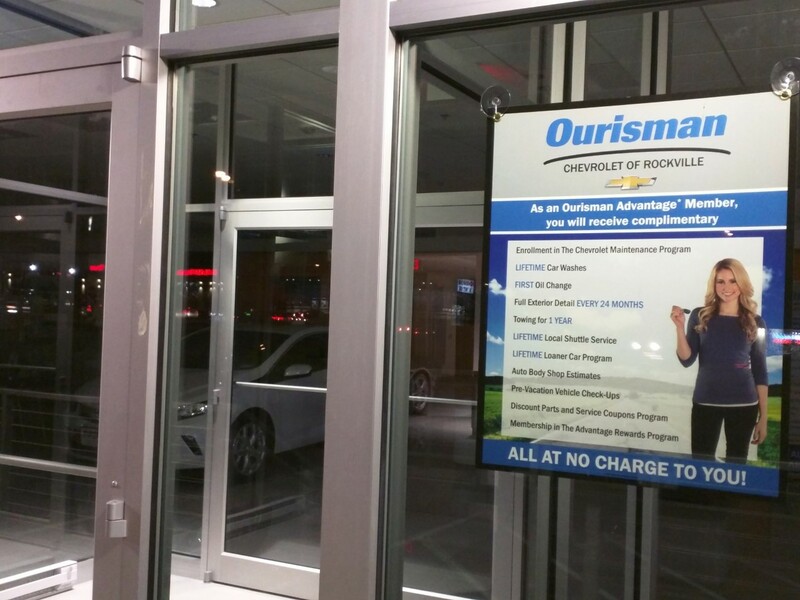 Ourisman Chevrolet has opened its new dealership at Wintergreen Plaza on Rockville Pike. Their existing dealership at MD 355 and Gude Drive is currently available for lease, but as of last night, continues to hold vehicle inventory, Ourisman signage and - of course - its famous giant American flag. The Rockville campus of Montgomery College is celebrating the grand opening of a new parking garage, just in time for the new Spring semester. 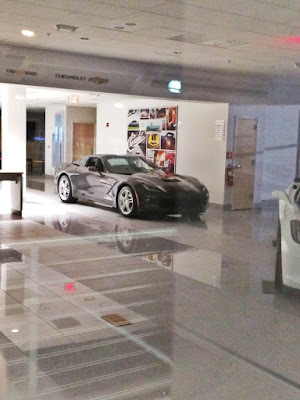 Located by the Physical Education building along North Campus Drive, the garage holds 918 parking spaces, and electric car charging stalls. 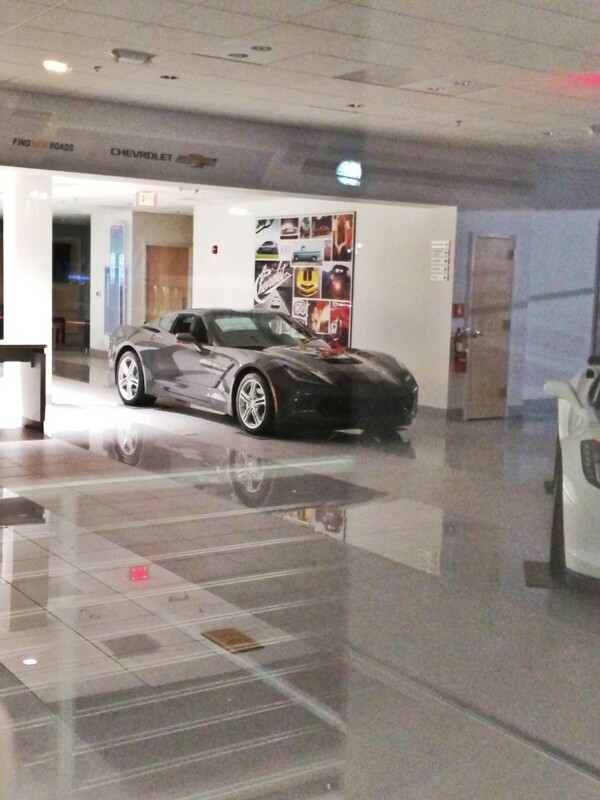 For safety purposes, it is equipped with a whopping 59 security cameras, and two emergency phones on each level. It will also be patrolled by campus security officers. 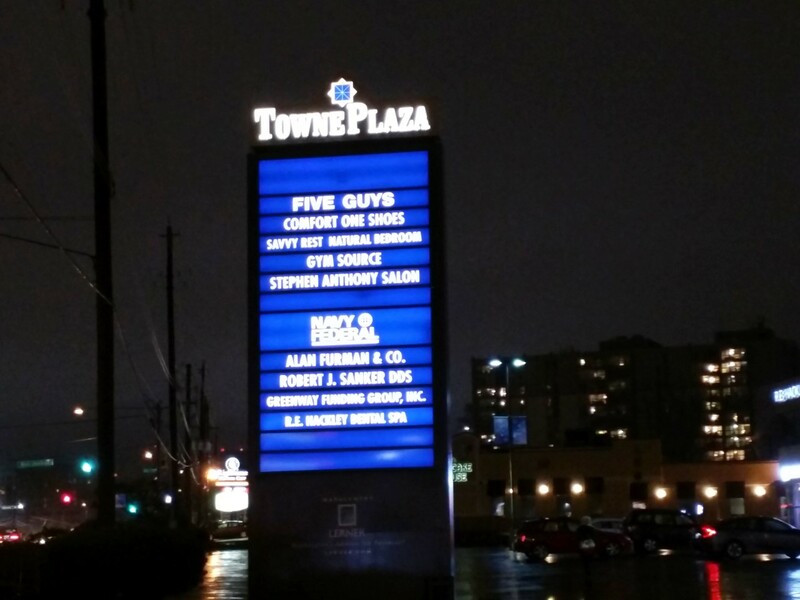 One high tech touch is a digital readout of how many spaces are available on each of the 7 floors of the garage. 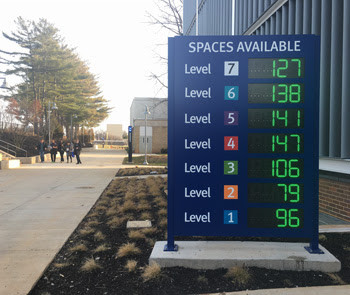 “The garage will help alleviate challenges with parking on campus, and that’s a big deal," said Dr. Mark Carmody, director of facilities for the campus. "We want to make it easy for students to get to class on time and to be ready to learn,” he added. 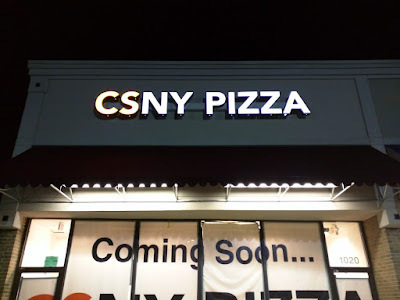 CSNY Pizza, a new venture from the duo behind CS Pizza, has installed its permanent lighted sign. 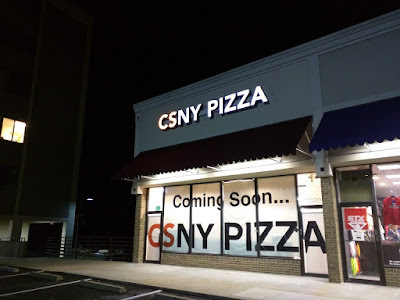 The pizzeria is promising authentic New York-style pizza, and is scheduled to open in March at 1020-1066 Rockville Pike. 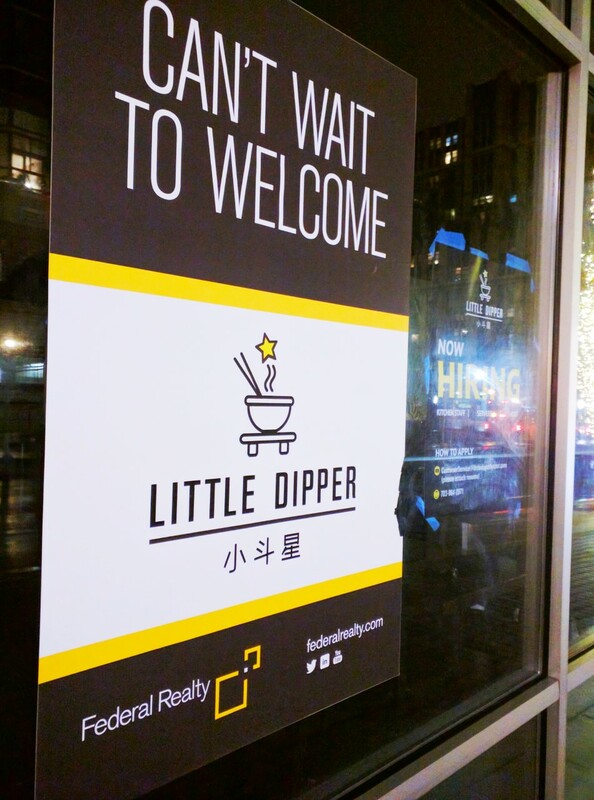 Little Dipper Hot Pot House is undergoing final Montgomery County inspections, and is on target for an early February opening in Rockville Town Square. 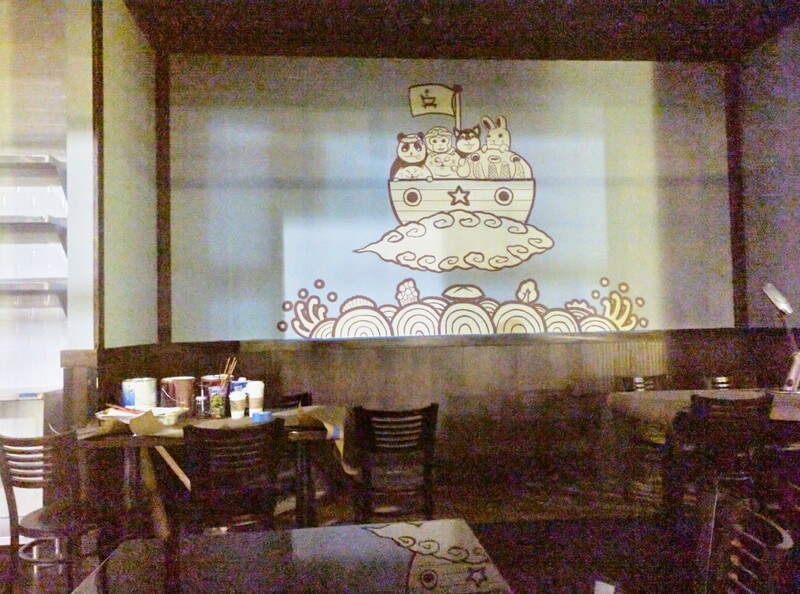 It will be in the former Noodles and Company space at 101 Gibbs Street. As you can see in the bottom photo, they are hiring for all positions. 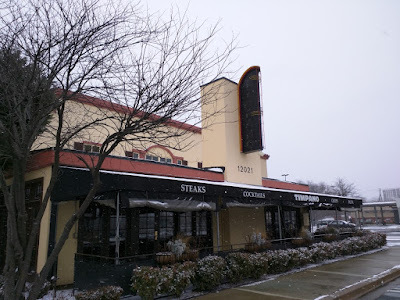 Unable to find a large restaurant tenant for the space formerly-occupied by Chef Geoff's at 12256 Rockville Pike, Towne Plaza has divided it into two retail spaces. 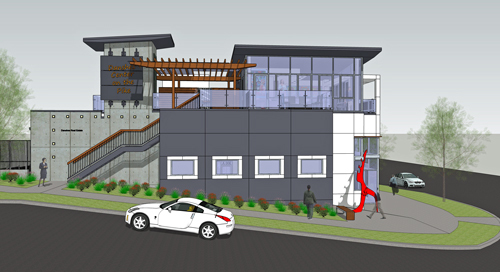 The first tenant to take over half will be PM Pediatric Urgent Care. 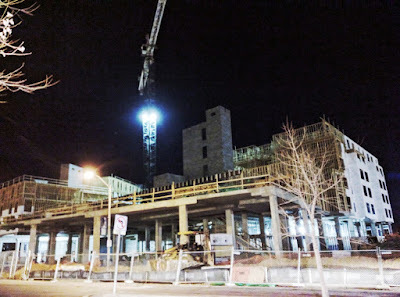 Construction has begun on the interior of the future clinic, and the second half of the space remains available for-lease. Longtime residents will recognize this as the end of an era in South Rockville dining. 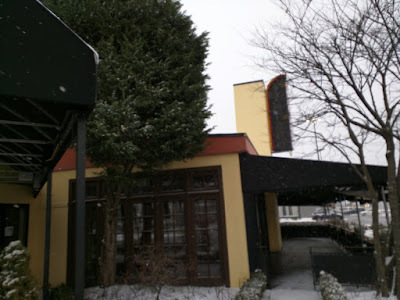 Before it was Chef Geoff's, the space belonged to Houston's, which - while a chain - was considered by the less-pretentious to be one of the top restaurants in Rockville and Montgomery County. Only its Bethesda location remains, under the name Woodmont Grill. 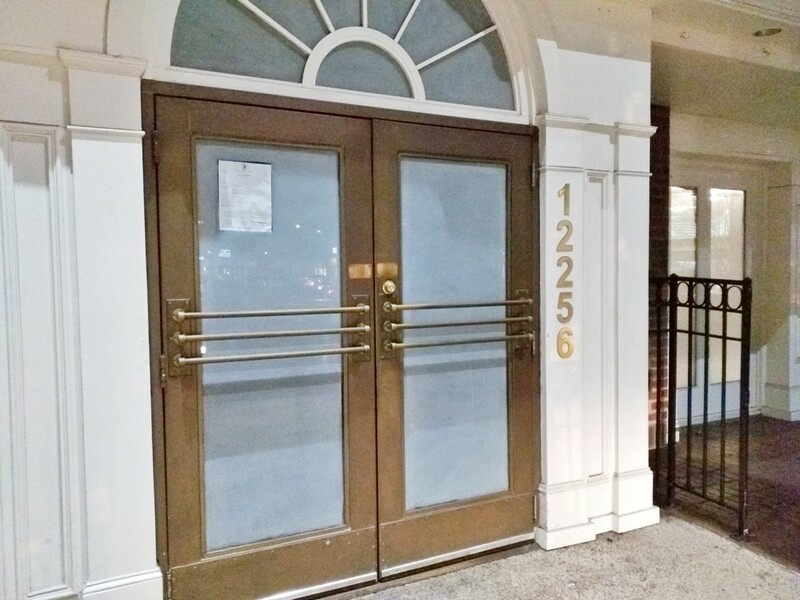 A new tenant is moving into the Ritchie Center on Rockville Pike. 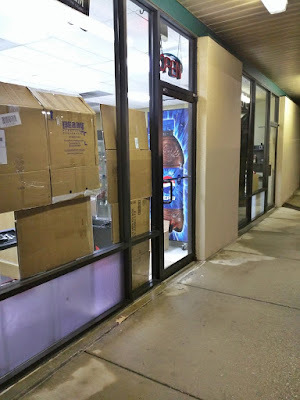 There is no sign up yet, but the boxed merchandise inside is all tobacco-related - cigars and hookah. And there is a cigar brand sign installed in the front window. Stay tuned. Montgomery County's public schools and roads are already filled to overcapacity. The promise that unfettered residential growth would generate massive tax revenues has given way to the reality of a massive structural County budget deficit. Despite all that, County Councilman Hans Riemer wants to pack in as many more new residents as possible. During a recent Twitter discussion, Riemer said he wanted to pursue a zoning change that would allow single-family home properties in the county to be subdivided into two residences, in the form of duplexes. Given that today's smaller families would easily fit into a duplex unit, Riemer's plan would massively increase the student generation rate in existing neighborhoods. Not to mention the impact on MoCo's traffic congestion, already rated the worst in America. Riemer's exchange with pro-urbanization blogger Dan Reed requires some background to fully appreciate. Reed was at one time a staff member in Councilmember George Leventhal's office. Leventhal infamously called the suburbs "a mistake," and in a 2010 television appearance, displayed a rendering showing a single-family home being replaced by an apartment building. This dystopian vision for urbanization of existing SFH neighborhoods is one of the worst-kept secrets of the Montgomery County political cartel. 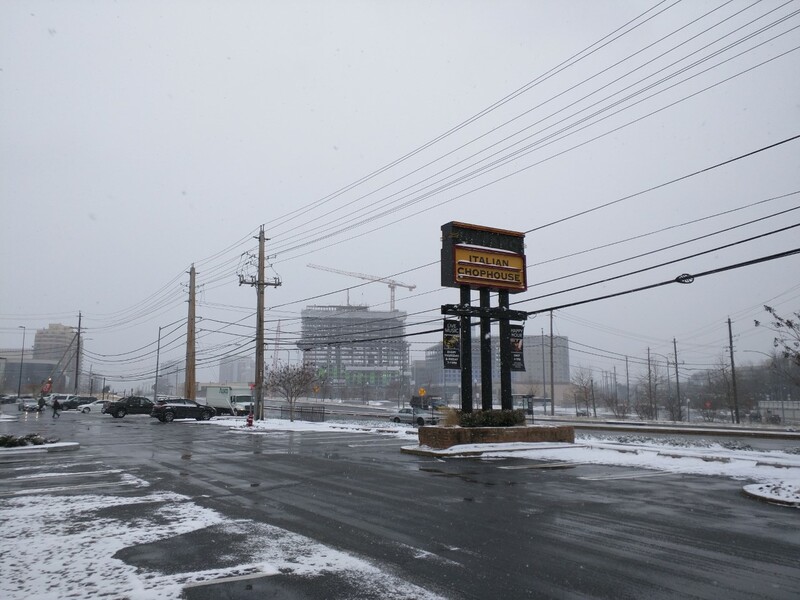 The bulldozing of single-family homes at the edges of current and future urban centers in the county will begin in areas where real estate values are lower - Aspen Hill, Twinbrook, Glenmont, Wheaton, and White Oak, for example. 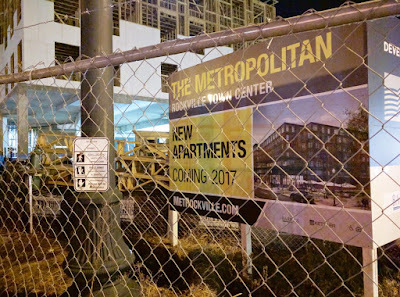 But what about places like Chevy Chase, East Bethesda and "Westbard," where teardowns get replaced with two-million-dollar homes? It's unlikely a development firm could afford to buy blocks worth of such homes in the 20814 and 20816 zip codes. Reed memorably lamented this obstacle to bringing urban density to the suburbs a few years ago, and proposed a solution of converting large luxury homes (often derided by critics as "McMansions") into what would essentially be boarding houses with multiple units inside (however, it was not clear what sort of nuclear armageddon, Maoist cultural revolution, or similar catastrophe would have displaced the wealthy families who currently reside inside these homes). 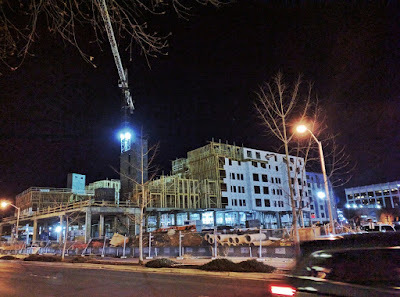 So as Reed contemplated the million-dollar home obstacle in Chevy Chase again in late December, Riemer had a bright idea - what about duplexes? Twice the strain on schools and roads, and twice the drain on County revenues. What's not to like, right? Remember, he's not talking about greenfield development. Riemer explicitly tweeted, "this is specifically single lot redevelopment." For a guy who voted to urbanize the established, low-density "Westbard" area of Bethesda, while falsely claiming it was a "mile from two Metros," such zeal for overcrowding doesn't surprise. But the exchange showed again how little California carpetbagger Riemer understands Montgomery County. Duplexes are considered lower-class, not desirable. And Riemer asked if there are "market examples" of duplexes in Montgomery County. He's obviously never made it to Aquarius in Aspen Hill, or Berry Street near Glenmont, to name just two. Not surprising for a guy who needs a GPS to find his way around the county. But those were new developments - Riemer is proposing retrofitting the whole county for duplexes. Good luck with that. "I am going to look into this further," Riemer vowed. Given his disastrous record on liquor reform, food trucks, the "nighttime economy," and cybersecurity, those words are your cue to either chuckle...or run for the hills. The final decision to approve or deny a townhome project on the site where the historic Chestnut Lodge psychiatric institution once stood has been moved up. 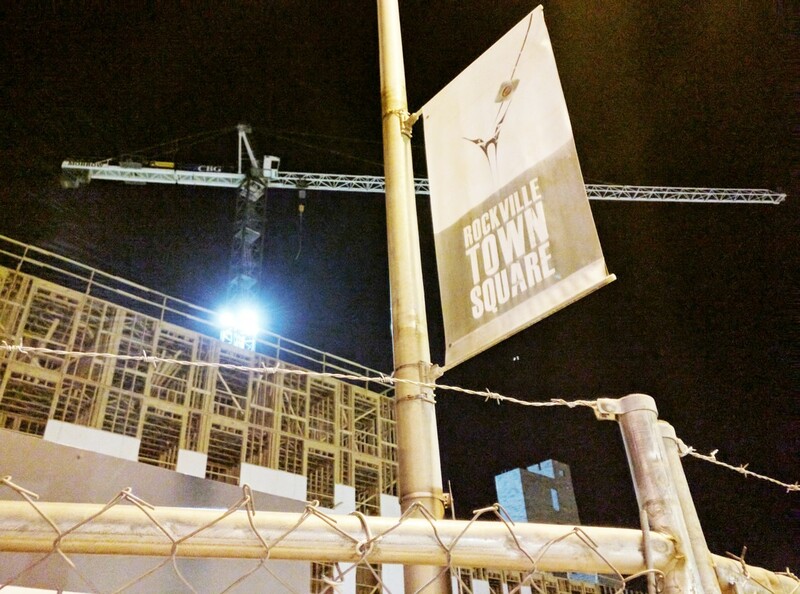 Rockville's Mayor & Council will now vote on the matter at its February 13 meeting, instead of on February 27, according to an email announcement from the Department of Community Planning and Development Services. Anyone can comment in support or opposition to the proposed development during the Community Forum portion of the meeting that evening. The meeting is currently scheduled to begin at 7:00 PM. The Montgomery County Council burnished the county's reputation as the most-hostile-to-business jurisdiction in the region yesterday, voting to raise the minimum wage to $15. That's the highest minimum wage in the D.C. Metro area, putting the already-moribund county in an even more disadvantageous job creation position. In a county that is the only one in the region to experience a net loss in private sector jobs (3885, according to the U.S. Bureau of Labor Statistics) - including the loss of 2141 retail jobs - since 2000, local Dunkin' Donuts franchise operator Boris Lander has been a one-man job creation machine. In just the last few years, he has opened up so many locations in Montgomery County that I've lost count. 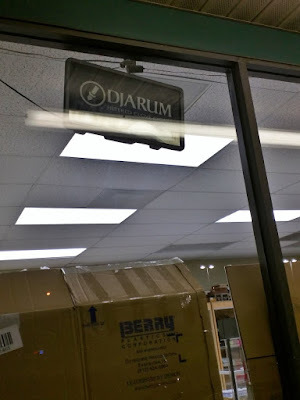 The jobs these stores create are opportunities for those at the entry level of the job market, exactly the type of person the Council purports to care so deeply about. Lander has become the point man for the business community's concern over the latest wage hike. He has put real numbers on the table, to quantify just what the negative impact a $15 wage will be on jobs. The Council ignored the data, and actually even boldly stated it was doing so. 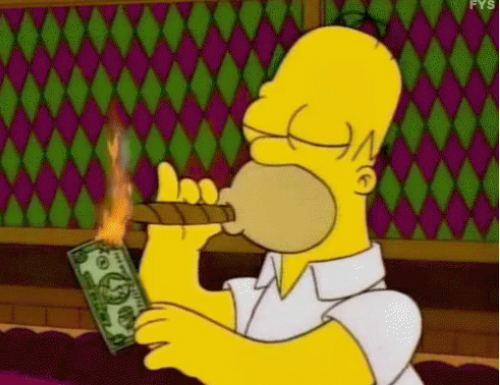 One thing that really jumped out in the wage discussion, was that the Council is not conducting any legitimate research on the fiscal impacts of the laws it passes. It's left up to private business owners like Lander to take their time to produce such data - and then the Council simply dismisses the evidence. Montgomery County started behind the 8 ball even before this Council passed two minimum wage increases. The high-tax jurisdiction hasn't attracted a single major corporate headquarters in two decades. 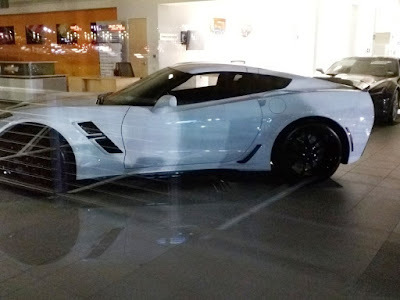 Its wealthiest residents are fleeing in numbers so significant, their exit has cratered county revenues, and shuttered the vaunted "Rodeo Drive" retail strip in Chevy Chase. But the impact of the previous wage hike has been explosive - and not in the way the Council promised. 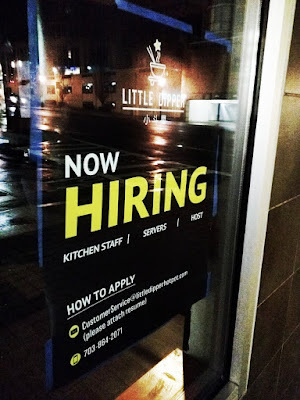 Many fast food restaurants I patronize all across Montgomery County - all of them except one - have radically slashed the number of employees. You'll often find one cook in the kitchen, and one or two cashiers out front (depending if there is a drive-thru) - and that's it. Some restaurants have even installed touch screen ordering systems. It turns out the touted "success of Fight for $15" was a complete failure. 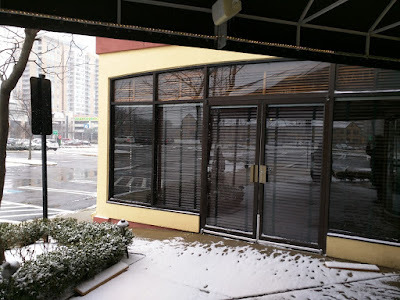 And this is in a Montgomery County where restaurant growth has "slowed since 2012, and remains flat," according to Melvin Thompson of the Restaurant Association of Maryland (by comparison, Frederick's grew 5.4% and Fairfax's by 6% in 2015 alone). The impact on us, the residents who patronize businesses here, has been even greater. Prices of Big Macs and fries have significantly increased. There's essentially no such thing as a Dollar Menu anymore at McDonald's. Not only have workers lost jobs, but those at the bottom have lost the ability to get a substantial amount of food for a low price (and if you feel the urge to make a snarky comment about those who get by on fast food, you're probably a paid Guy Friday for the $130K-salaried Whole Foods elites on the Council). CEOs - and the relocation firms they contract with - are getting the latest headlines from Montgomery County, and the news is not good. Even though the new $15 wage doesn't target the kind of high-wage firms we should be convincing to move here, it is a strong indicator of MoCo's hostility to business. The Council's willingness to recklessly jump off the $15 cliff by itself in the region for purely-self-serving political reasons sends a clear message to businesses here and around the world - Montgomery County is closed for business. 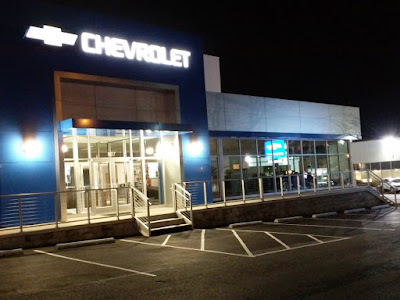 Inventory is beginning to move south from Ourisman Rockmont Chevrolet into their new location at Wintergreen Plaza in Rockville. 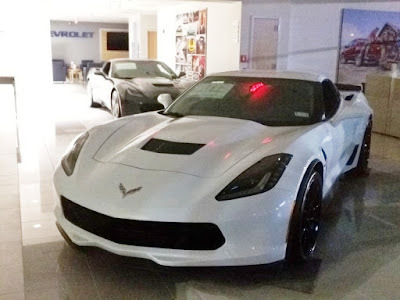 Several Corvettes, a Camaro and a Volt are among the cars already in place. The existing dealership site at 15301 N. Frederick Road is currently on the market for lease. Notoriously Montgomery County-averse food critic Tom Sietsema once wished the popular La Limeña restaurant at 765 Rockville Pike could be "closer to Washington." He's getting his wish, but only by a few blocks. 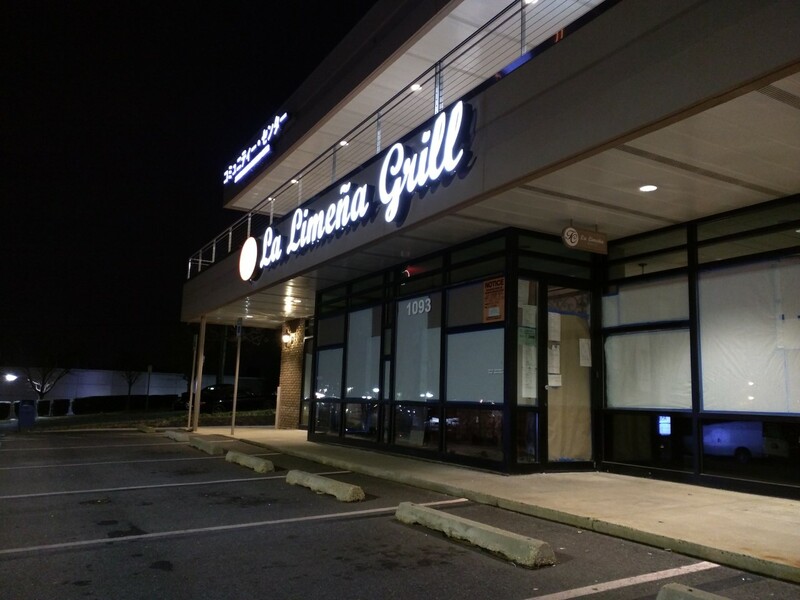 La Limeña is expanding to open a second restaurant, La Limeña Grill, at 1093 Rockville Pike. 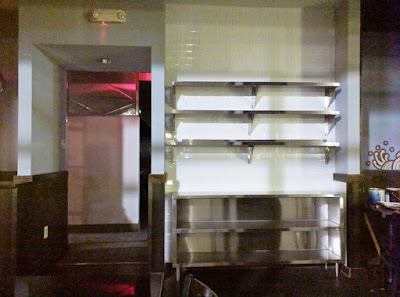 Peruvian and Cuban flavors will continue to dominate the menu at the second location, which will be in the space vacated by The Potomac Grill. 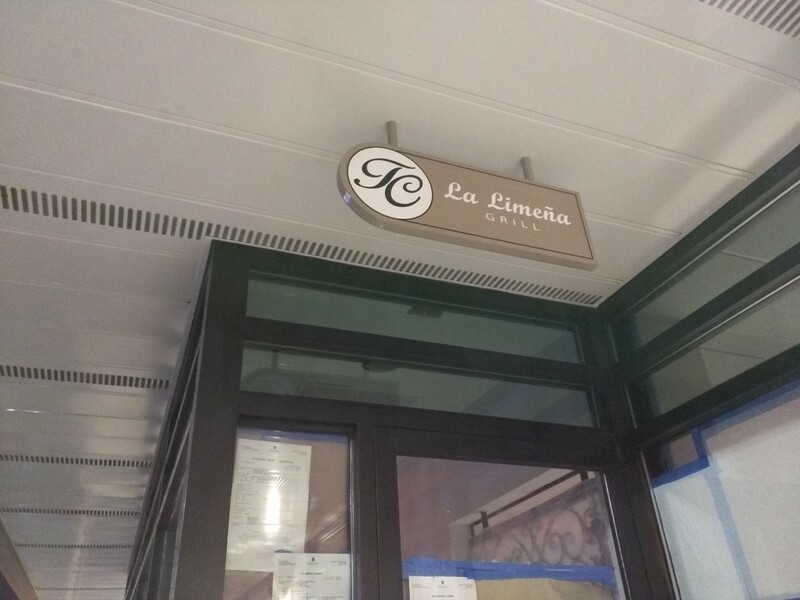 An employee at the original location said yesterday that La Limeña Grill will open in the "final days of January." The lighted sign is installed, and was lit last evening. Could Bethesda join Rockville as an incorporated city? Residents who feel the Montgomery County Council and Planning Board are unresponsive to their concerns over development, density and quality of life issues crowded into the auditorium at Bethesda-Chevy Chase High School last night, to begin considering the possibility of incorporating Bethesda as a city. 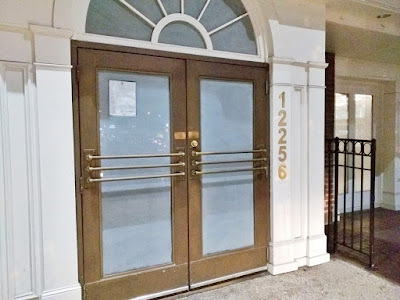 Co-hosted by the Coalition of Bethesda-Area Residents and the East Bethesda Citizens Association, the event was designed to facilitate discussion, rather than to decide whether to incorporate or not. "We are starting the dialogue tonight," CBAR founder and Town of Chevy Chase Vice Mayor Mary Flynn said at the outset of the meeting. Invited to brief the audience on the incorporation process, and the pros and cons of municipal government, were Tom Reynolds, Director of Education Services for the Maryland Municipal League; Gaithersburg Mayor Jud Ashman, and five-term Kensington Mayor Peter Fosselman. Also in attendance were County Councilmember Marc Elrich (D - At-large) and Delegate Marc Korman (D - District 16). Ashman described the closer relationship between municipal leaders and their constituents as one advantage of incorporation. 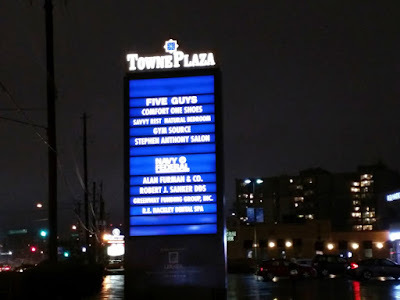 In contrast, under the County Council, "the closest person to downtown Bethesda lives up in Pike and Rose," Flynn noted. "They don't actually live here. They hear us, but it's not clear that they necessarily understand us." 1. Incorporation would be an enormous and challenging undertaking. The process of incorporating is "not intended to be easy," Reynolds said. While there are 157 municipalities in Maryland, only 5 of those have been able to incorporate since the current rules were established in 1954. All five were in Montgomery County - but all five also already had Special Taxing Districts established near the beginning of the 20th Century, so the County Council had already lost the 17% of income tax revenue each receives back annually. 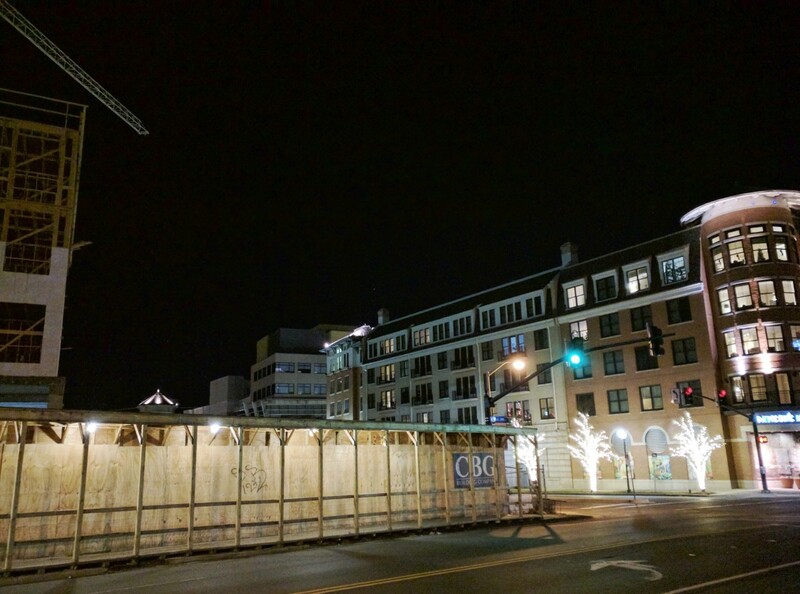 There is virtually no incentive for the Council to allow a referendum for Bethesda to incorporate, other than the threat that disgruntled residents will oust them in the next election. 2. The current County Council has to be voted out in 2018 no matter what direction the community decides to go. The current Council has made it abundantly clear that its planning priorities and goals are radically different from those of its constituents. A unanimous Council vote to pass the highly-controversial Westbard sector plan last year continues to echo loudly in citizen revolts at the ballot box and at community meetings countywide. Similar issues stirred up anger in Chevy Chase, East Bethesda, Rockville, Lyttonsville, Aspen Hill and Damascus. Likewise, a majority on the Council oppose incorporation of new municipalities. It is entirely possible for the community to change planning and growth policies in the 2018 Council election, which would eliminate the need to incorporate. Ensuring that candidates who reflect the priorities of residents are elected would not only prevent passage of plans like Westbard, but would also bring the Planning Board in line with the community as well - the Council handpicks the Planning Board. If residents ultimately decided they wanted to incorporate, they would still need a new Council that had a 5-member majority who favor allowing communities to incorporate. A representative of the new voter advocacy group, MoCoVoters.org, said incorporation "won't succeed unless we get a new County Council." 3. Incorporation, and the second step of obtaining local planning authority from the state, would be a long-term process, too long to stop some of the urgent issues currently enraging County residents from happening. Whatever decision is made regarding incorporation, it's clear that residents have to start organizing now for the 2018 Council elections. 4. Elimination of At-large Council seats, and a redistricting of nine seats to allow for closer and better geographical representation, are another shorter and easier route to major change without incorporation. Currently, the same Councilman who represents Bethesda also represents Poolesville. 5. There is strength in numbers no matter what approach is taken. Anger in, and coordination among, many communities affected by recent Council decisions, already helped pass term limits in last year's election. Numbers would also be essential in any effort to incorporate. Reynolds suggested that the Council might be forced to be responsive to incorporation referendum requests if they receive simultaneous applications from multiple communities at once (i.e. Bethesda, Damascus, Lyttonsville, etc.). Last night's audience had many residents still angry over the Westbard disaster, and from as far as Damascus and Potomac. If five or six areas try to incorporate at once, Reynolds said, "I suspect the County would respond. That's part of the power" of unity. Reynolds said last night's crowd was much larger than the community groups he ordinarily speaks to about incorporating. Ashman concurred: "The energy, the organization that you guys have put into this, I'm very impressed." 6. There are real advantages to incorporating. Municipalities like Gaithersburg and Kensington are able to deliver a higher level of services to their residents than the County can. Being able to provide superior services to their residents, and having a closer relationship with them than the County Council can in a County of more than a million people, Ashman said, is "a glorious thing." Fosselman said Kensington's ability to have its own snowplowing services is "a huge bonus in the wintertime." During last year's blizzard, Kensington's snow removal crews "worked around the clock," and in contrast to the County and State, kept the town's street's clear. He added that a municipality can also hire a city or town manager who can handle the day-to-day operations, while providing an additional point of contact for residents. Even having local control over street trees can have a positive impact on the quality of life, Fosselman suggested. Providing top notch plowing, trash collection and other basic services "is more expensive, but it's worth it," said Fosselman. When purchasing a second home in Florida, he said, buying one in an incorporated area was a requirement for him. 7. There are real costs to incorporating. Residents of an incorporated Bethesda could pay roughly an additional 16 cents per every $100 of assessed value of their property to fund those high-quality services, Ashman said. Acquiring land for a City Hall and other new municipal properties would be a very expensive proposition in Bethesda, he added. There is also an ongoing dispute between existing municipalities and the County regarding how much they should be reimbursed for the money they save the County through the services they provide, Ashman said. 8. An independent Bethesda would have to provide a lot of services. 9. The threat of incorporation may be a more effective tool than incorporation itself. Holding the specter of incorporation over the Council's head - and the heads of those running for it in 2018 - could give residents some additional leverage in the arguments over development currently on the table. 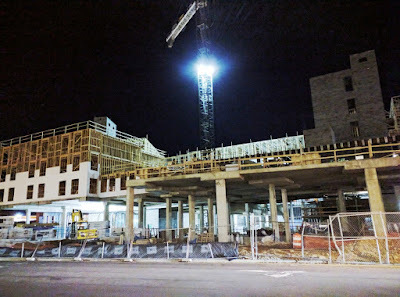 One resident who supported that notion said, "I want to be able to control my street," citing the many construction-related sidewalk closures in downtown Bethesda and poor stewardship of street trees. The fact is, virtually all of the issues people are angry about could be solved by simply putting the right people on the Council in 2018, without having to pay the higher taxes incorporation would involve - but we don't have to tell the Council that. 10. 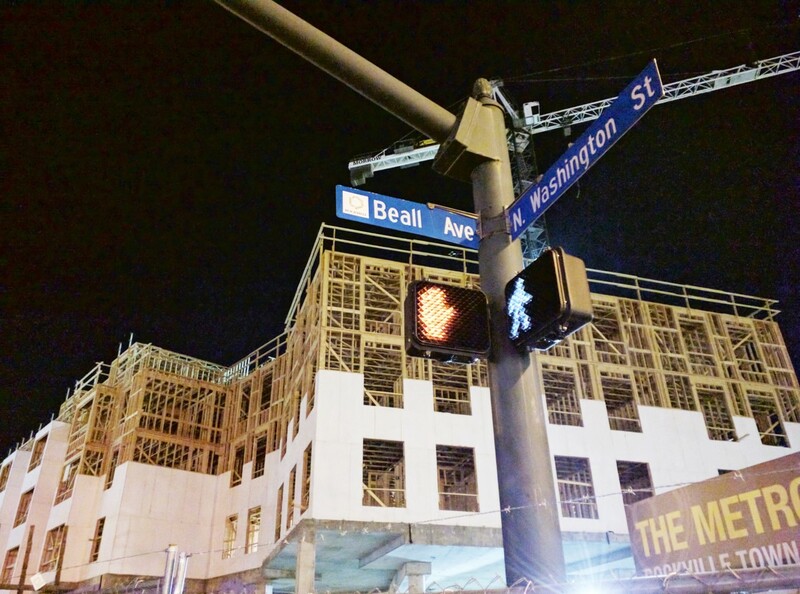 There are two ways to get control over planning and zoning. 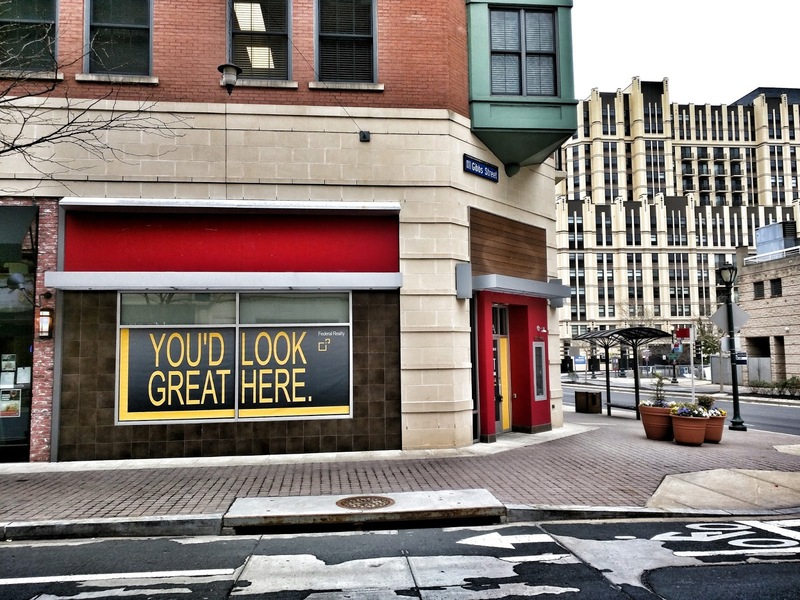 Bethesda could get full planning authority such as Rockville and Gaithersburg currently enjoy. Or it could seek a lesser option, a hybrid approach under Article 28. With the latter option, a municipality's wishes on a planning decision can only be overridden by supermajority of the Council and Planning Board. Kensington and Takoma Park have taken that approach. Fosselman said that, to his knowledge, neither municipality has been overruled by either body in Montgomery County..
11. But there's no guarantee of getting either type, and Bethesda would have to incorporate just to find out if it can, through a second process at the state level. "It's one thing to incorporate, but that doesn't guarantee you'll get zoning authority," Fosselman said. "So you'll have to be prepared to fight twice. Reynolds had some advice if Bethesda is ready to take up that fight. 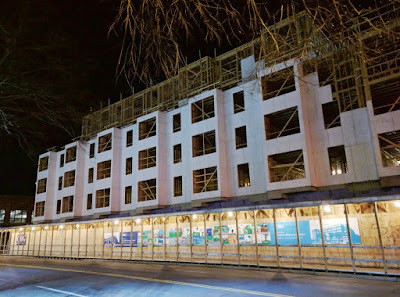 The bid of Rollingwood in Chevy Chase flopped at the Council level about a decade ago, but Reynolds and Elrich made a compelling case that it didn't fail simply because the Council is anti-incorporation. Elrich said that he favors incorporation in general, but that Rollingwood made clear it was not going to offer services to residents, and was planning to simply give them a tax refund with their 17% reimbursement. Reynolds and Ashman agreed that Bethesda would have to show the County Council it will offer substantial services to its residents. Second, Reynolds recalled, Rollingwood's proposed boundaries got too big. When they expanded beyond the core group of streets where sentiment for independence was high, the Council concluded that the level of overall resident support didn't meet the bar for moving forward. Of course, if any Rollingwood residents reading this would like to object to these assertions, please comment below the article. 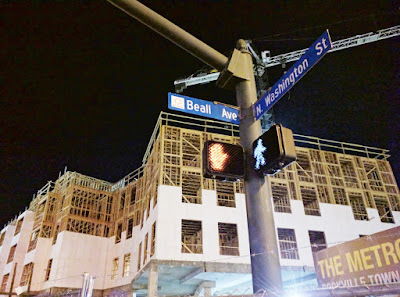 Reynolds said you would almost have to go block by block to measure support in Bethesda, and then exclude areas that oppose it from the proposed city's area, if possible. Third, all five communities that successfully incorporated in recent decades had populations under 1000. The latter two points, on the one hand, portend failure for Bethesda, which would be a sizable city. On the other hand, we are witnessing an unprecedented level of discontent and revolt among residents against the Council. 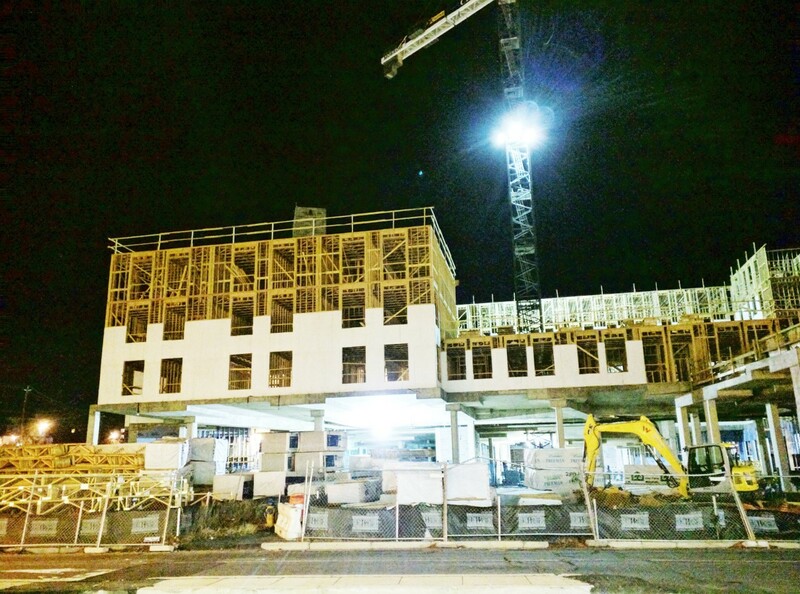 "The 'smart growth' is the dumbest growth I've ever seen," said a resident of Wyngate since 1978. 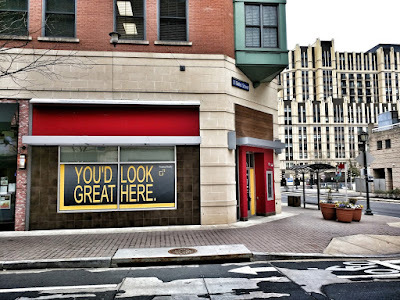 Fosselman suggested residents pursuing incorporation consider working closely with the Bethesda Urban Partnership, as it already provides some services that a municipality would. He also counseled citizens to approach the Council about incorporation in a friendly, rather than confrontational manner. 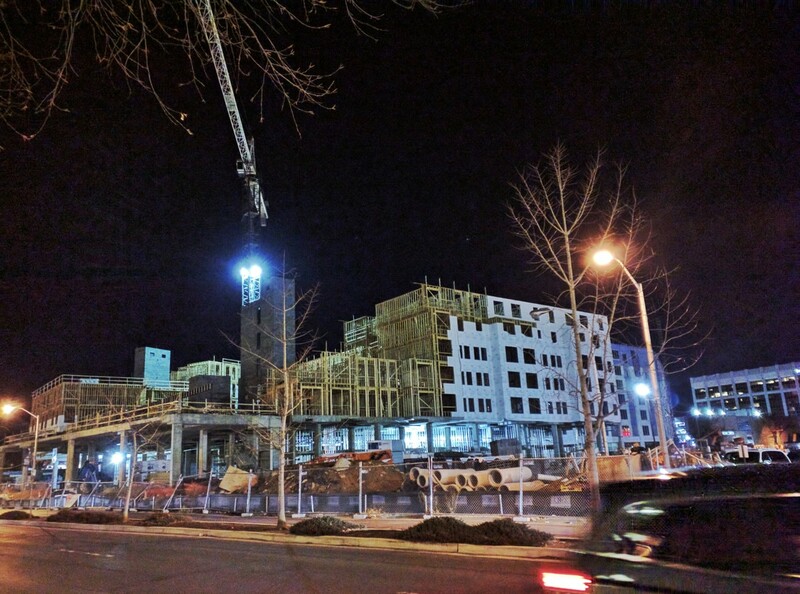 Katya Marin of the East Bethesda Citizens Association said that the only problem with that is that they have already tried to do so, and the Council has been unresponsive to resident concerns so far. Reynolds said the Council wants its constituents to be happy. "If they wanted us to be happy, we wouldn't be here!" a resident shouted from the audience to applause. Flynn said she wanted to clear up the misconception that incorporation is merely about wealthy "Bethesda keeping its money in its pockets." 83% of income tax revenue from Bethesda residents would still go to Montgomery County under the rules, she said, and the new city would have to provide substantial services to appease the county for the loss of the other 17%. In related news, Flynn announced that County Council President Roger Berliner would receive a 10-page letter from CBAR and East Bethesda Citizens Association today, which will be made public early next week. It outlines residents' priorities for fixing the current draft of the Bethesda Downtown sector plan. 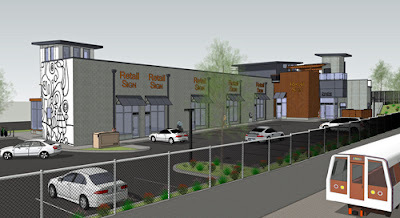 Those include the use of staging, heights and building designs that are compatible with existing neighborhoods, adequate parks and amenities, public safety, use of accurate and comprehensive data on road and school capacity, and creating "appropriate transitions to neighborhoods" adjacent to the downtown area. I have an update on the opening of the new Little Dipper Hot Pot House at 101 Gibbs Street in Rockville Town Square. According to Federal Realty, the restaurant is expected to open in early February. 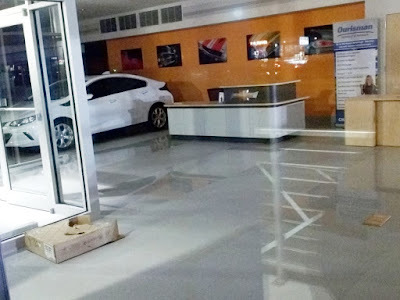 They are in the process of receiving final permit approvals now. The Metropolitan at Rockville Town Center apartments are about 5 stories above ground level now at the corner of N. Washington Street and Beall Avenue. Expected to deliver in the 4th Quarter of 2017, the building will house 275 apartments, and 6033 SF of retail space. It stands on the former site of the Suburban Trust Building, also known as the Pink Bank. The contents of the Chili's restaurant that closed this past fall on Rockville Pike are going up for auction next week. It won't be at the restaurant, though. Instead, the preview inspection (January 17 10:00 AM to 1:00 PM) before the auction (January 18 at 11:00 AM) will take place at Self Storage Plus, located at 14690 Southlawn Lane in Rockville. 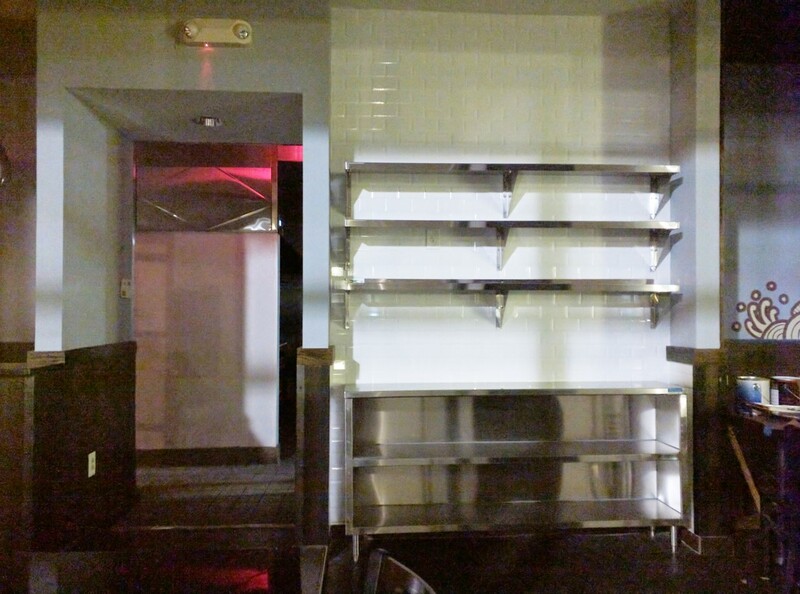 If you are opening a restaurant, or need some equipment for your current one, this could be the opportunity you've been waiting for. When the inventory of items to be auctioned off is posted, it will be found here. 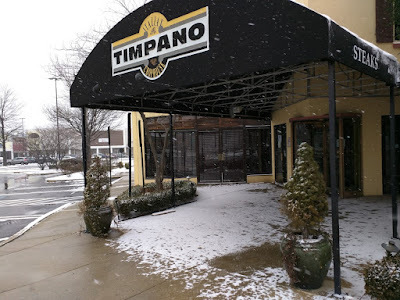 Timpano Italian Chophouse has closed for good at 12021 Rockville Pike, in the Montrose Crossing shopping center. 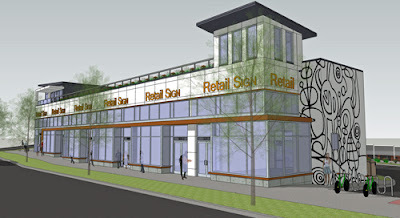 The restaurant building will be torn down, and replaced with a new retail structure. 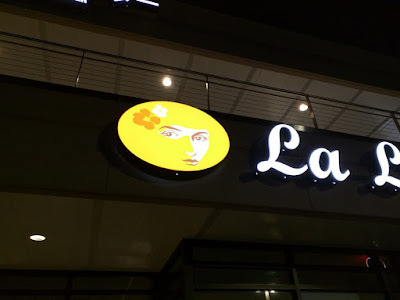 They had a great lasagna here. A proposed new retail building at Rockville Pike and Edmonston Drive could be the first to reflect the design goals of the recently-passed Rockville Pike plan. Designed by the Rockville-based architecture firm of Steven J. Karr, AIA, Inc., the new development would front directly onto the Pike and have parking behind the building, as the new Pike plan prioritizes. Steven J. Karr, AIA, Inc. The property is located at 900 Rockville Pike, just north of the Edmonston Crossing shopping center and office building. 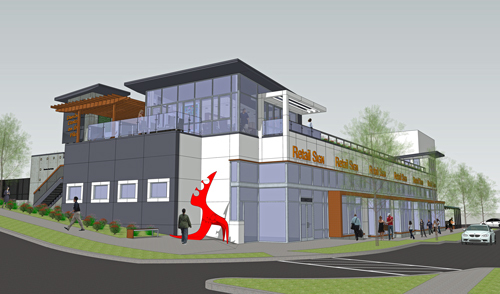 Danshes' Retail Center on the Pike will feature a 7100 SF building, and 34 parking spaces.